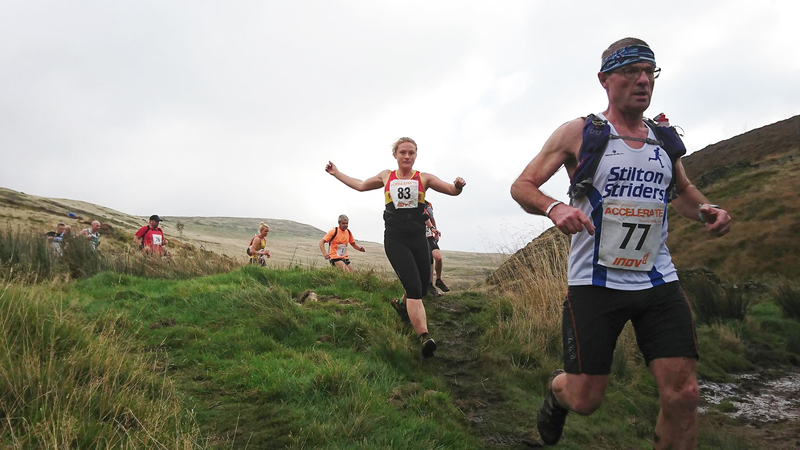 The Gritstone Series is a collection fell races in the Peak District. Together they form the basis of our competiton. Basically - the races pre-existed and are all available separately. But if you wish to register for the series via the official website, you can complete the required number of races and have us score you for the series as a whole. With generous support from off-road running specialists inov-8 prizes will be awarded to those who finish first in their particular category, as well as the overall Male and Female race winners. Runners who manage to complete every single race in the year can earn the 'True Grit' award and win prizes based on their commitment, rather than performance. So there's potentially something in it for everyone. If you'd like to register for this year's series and try your luck - head over to the official Gritstone Series website and click 'Series Entry'. See you out there!